Get little engineers excited to collect some train-themed treats with this Thomas the Tank Engine Pinata. 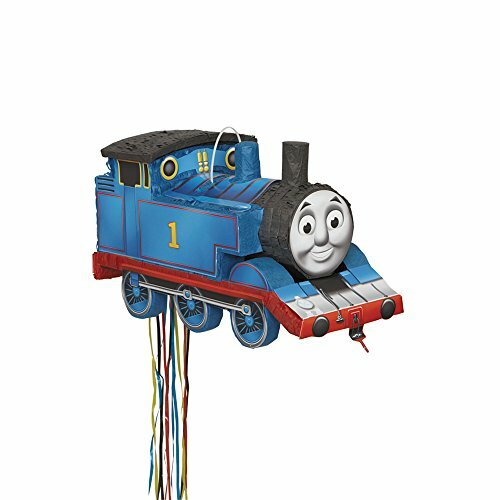 Featuring a charming design that looks just like the beloved tank engine himself, this pull-string pinata will make a wonderful addition to any Thomas the Tank Engine birthday party. Simply fill this party pinata with 2lbs of your own candy and other goodies and have little ones take turns pulling the attached strings to reveal the treats inside. Best of all, because this pinata stays intact, it’ll double as an adorable party decoration both before and after the game.